London. Symbolists can read many esoteric things into the wedding of Prince Henry (Harry) and his American princess, Meghan Markle (MM). The occult connections of his royal family have been extensively documented. There is no doubt this sacred marriage — part royalty, part show biz — lit a fire of love in the hearts of the 2 billion people who watched the ceremony worldwide. Fire was especially on the tongue of Michael Curry, the Episcopal preacher who rattled the Tudor timbers of St. George’s Chapel, Windsor Castle and fired up the masses with his toned up sermon that mystically called down love’s fire from heaven. Preaching that “love is the way” to make “this old world a new one”, quoting Dr Martin Luther King, who said “we must discover the power of love, the redemptive power of love,” Curry came dangerously close to lecturing the Queen of England, who may be the most powerful woman on earth (and is a stand-in for Christ, according to British tradition), about what real power is and upstaging the bride and groom. He ended by quoting the Jesuit scholar, Teilhard de Chardin, the prophet of tyrannical Christian transhumanism (turning humans into robots) and invoking Prometheus (or Lucifer) by saying “the harnessing of fire was one of the great technological discoveries in all of human history. Fire, to a great extent, made all of human civilization possible”. E gad! He truly did light the place on fire! Normally, the Episcopal church is known for white-washing or sanitizing Christianity of its true mystical origins. Clare and I attend an Episcopal church in Nashville. I am always amused by how quickly the minister blows past the stunning esoteric references in his sermons. The beatific words are there, but the explication of, and even reverence for, the mysteries they represent is absent; almost like the minister hasn’t a clue about what he is talking about. I found Rev. Curry to be no different than our hometown minister, dropping one esoteric or Gnostic Christian reference after another, only in a shouting style more familiar to Southern Baptist or revivalist congregations than morning suit wearing Anglicans of London (or blue jean clad Episcopaleans of Nashville). Granted, his sermon was not a lecture. Still, I wanted more explanation and connection. So, here, I will take a moment to, hang fire, and explore the mystical insights gleaming in Curry’s sermon and to examine some of the many esoteric references he made to love’s fire. This is not a full treatment of his remarks, or a critique, but a journey into the fascinating mythological and mystical associations his sermon invoked…and the immense importance of his words. No matter what one thinks of the royals, or the good Rev. Curry, just name another recent moment when 2 billion people gathered together simultaneously! 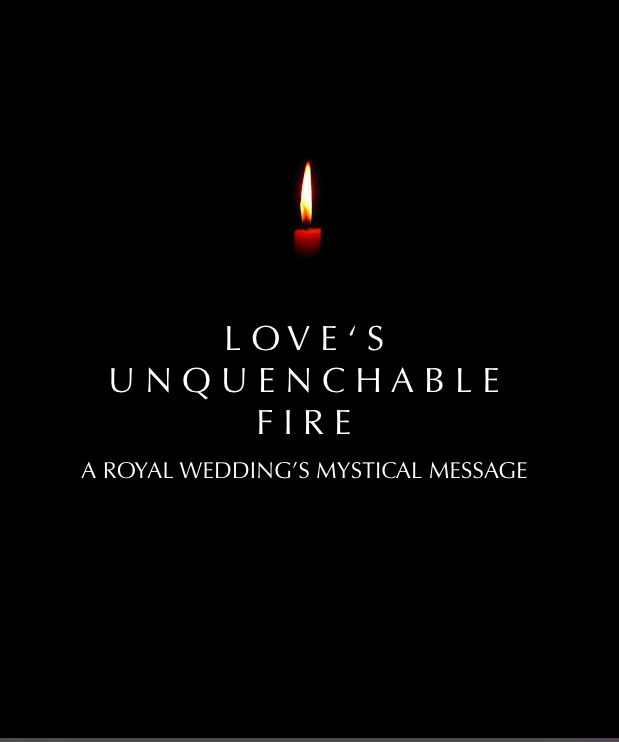 First, Curry didn’t mention it, but it is interesting to note that, with fire as the central theme of his sermon, the royal wedding took place the day before Pentecost, when Christ sent fire from heaven. Mystical. Supernatural. Cosmic. Words hardly convey this experience. 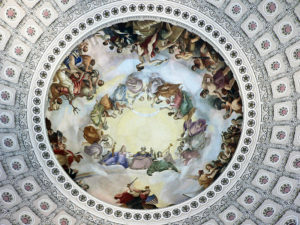 Christian art shows the tongues of fire entering the crowns of the disciples, who have gathered in the Upper Room, and who surely must have be highly trained initiates. The flames symbolize their crown chakra illumination. I believe the rain of fire of Pentecost was some form of galactic rain that the awakened and pure-hearted could experience. The rain of fire that Christ brings is a heavenly outpouring of love. This is why his forerunner is called the Rainmaker. In esoteric Christianity, the name of this Christ rain is INRI, which is phonetically similar to Henry (Harry’s proper name). I mention this solely for the fact that some believe princes William and Henry are the unelected, but official, duo of messiahs who will lead the world into a new era of light. INRI is the epithet of Christ. 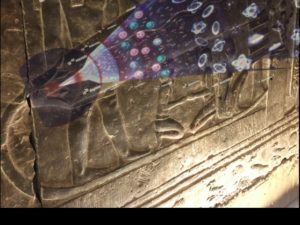 Exoterically, this means “Jesus of Nazareth, King of Jews.” This was written on the placard placed above the Cross by Pontius Pilate. It is meant to state Jesus’s crime (calling himself the king of the Jews) and to mock him (ha, the king of the Jews?). In the wisdom tradition, however, INRI means something completely different. IGEN NATURA RENOVATURA INTEGRA or “By Fire Humanity is Renewed Whole,” is its true meaning, says esoteric tradition, pointing to Jesus’ role as a bringer of a rain of higher frequency knowledge or ‘fire’. The point is, of course, that fire was, almost bizarrely, invoked in the wedding ceremony of Harry and his MM (or any other couple). Its inclusion certainly added to the mystique of the moment. The Gnostic tradition tells us that, in its purest state, this Christ Fire (INRI) exists in the highest conceivable heaven. All we need is a way to channel this light. That was the role of Jesus’s chief apostle, Mary Magdalene (his MM), who created an oil or balm to do just that (more momentarily). The Gnostics believed one’s soul is a tiny fragment of this Fire, like a spark shooting from a fire is a small part of the fire. So, yes, Curry’s numerous mystical references to fire were loaded with gnostic Christian and other strands of esotericism. Curry’s next mystical reference came when he spoke of the ‘balm of Gilead’. This is a reference to Chrism, the healing oil or balm of Christ that the Gnostics said was the source of Christ’s Resurrection. 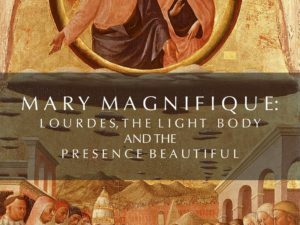 It is most closely associated with Mary Magdalene, who used it to channel the power of God; the power that transformed Jesus’s body into a bolt of light. “I’m talking about power. Real power. Power to change the world,” said Curry. Here, Curry is playing with fire. It sounded as if he was lecturing about slavery to a monarch who is the Queen Mother figure to hundreds of millions of subjects (rather than citizens) under her dominion. Gilead is a place name, and a reference to a state of being, a state of Gil (‘joy’) and ad, eternity, or eternal happiness. The Balm of Gilead is interpreted as a spiritual medicine that is able to heal Israel (and sinners in general). Here, it appears that Curry is putting forth a balm to heal Britain’s spiritual wounds. The balm of Gilead is very difficult to obtain. However, it will be made one day soon. 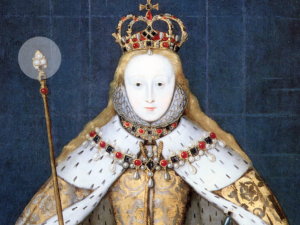 That day will be the day of the Coronation of the next British Monarch when the Sovereign is anointed with an oil made from a recipe given to Thomas Becket by an apparition of the Virgin Mary. This anointing will turn an ordinary human into the earthly stand-in for Christ, according to British tradition. I will discuss this further in a future article. Curry then riffed on England’s secular prophet of love, John Lennon, and his song, “Imagine” (the globalist ‘anthem’). This is relevant as William, Kate, Harry and MM are being touted as the new royal “Fab Four” (an appellation once exclusively used for the Beatles). “If you don’t believe me, just stop and imagine. Think and imagine a world where love is the way,” boomed Curry. “Imagine our homes and families where love is the way. Imagine neighborhoods and communities where love is the way.Imagine governments and nations where love is the way. Imagine business and commerce where this love is the way. This is exactly what Lennon (and Lenin) imagined. A world with no religion, no heaven, countries, possessions, greed, hunger, where everyone lives as one, in a communistic/socialistic society. It is basically the agenda of UN 2030, the globalist dream of a world united and controlled by Artificial Intelligence. Curry is, once again, playing with fire as he is asking Harry and MM to turn over all of his family’s considerable assets to the people. Imagine, how many people one could feed with the $450,000 spent on MM’s dress and the millions upon millions spent on the royal wedding. Or, just imagine how they could change the world if they took all of the royal family’s billions and applied them to social problems. Here, Curry is invoking the Essene concept of the New Jerusalem and the new heaven and earth that is revealed at the time of the Second Coming. With the appearance of this Messiah, according to prophecy, this celestial city will come out of the sky. Among believers, the debate is actually not about whether it will be built (it will), but how. Will it be through human effort and by human hands or will it be “heaven sent” and manifested out of thin air by Divine Will? Will it be constructed of earth, air, fire and water? Or will the fifth essence — space-time — compose the new temple? Okay, so a massive golden, cube-shaped ship manifests out of thin air? One that it is made of fire or some spiritual substance? This sounds like a de-cloaking space ship will come out of the sky above Jerusalem. Curry next went off on a tangent that even drew a chuckle from Prince William and the Prince of Wales when he stated that the discovery of fire led to computers and Tweeting. Curry: “French Jesuit Pierre Teilhard de Chardin was arguably one of the great minds, great spirits of the 20th century. Pierre Teilhard de Chardin was among the first to give serious consideration to the future of human evolution. His work advocates both biotechnologies (e.g., genetic engineering/eugencis) and intelligence technologies. He advocates the development of a global society. Teilhard is almost surely the first to discuss the acceleration of technological progress to a Singularity in which human intelligence will become super-intelligence and when every individual on earth has an chip implanted in their brain that links them to a demonic super computer. In this new age envisioned by Teihlard free will is completely eliminated, and self-control is replaced with mind control technologies. I’m not sure if Curry has considered this or not. More, he doesn’t seem to realize that his reference to stealing fire from heaven is Greek and it referred to Prometheus, who created the first human, Pandora, as an artificial entity and then stole the divine fire from Heaven in a hollow fennel stalk. Fennel is the symbol of spiritual rejuvenation or re-Generation. Like Lucifer. In a myth which dates from c. 500 BC, Prometheus voluntarily chose to die for humanity’s sins. He was crucified on a wooden upright, to which were added ‘arms’ of wood. Just like the Crucifixion of Jesus, after his death the Earth shook and shifted and darkness (the ~ of the Black Sun) covered the whole world. Enlightenment followed. All in all Curry send us off on a mystical journey. His booming rhetoric is filled with references that we could dissect even further, but will leave for another time. In conclusion, were I putting a coda on Curry’s fire sermon, and if I were asked to suggest where do Henry and MM go from here, I would suggest they could follow love’s fire in the footsteps of St. Francis and Clare of Assisi. Both were raised in wealthy families, both renounced their earthly possessions to follow love’s fire. Together, they launched a spiritual revolution. St. Bonaventure, in his Life of St. Francis, describes Francis as being more inflamed than usual with the love of God as he began a special time of solitary prayer at La Verna that September of 1224. “His unquenchable fire of love for the good Jesus,” Bonaventure writes, “was fanned into such a blaze of flames that many waters could not quench so powerful a love”. Francis and Clare would retire to the woods near Assisi to converse with each other. The villagers of Assisi, seeing a red glow over the forests ran with buckets of water to douse what they assumed was a fire. Instead, they found Francis and Clare, seated in a clearing, rapt in conversation surrounded by a holy fire. They fulfilled Christ’s promise in the gospel: “Where two or more are gathered in my name, I am there with them” and stoked the unquenchable fire. The New Jerusalem is the next incarnation of Gaaia or the earth according to the anthroposophy of Rudolf Steiner.